The Road Show is chugging into its final destination as our first ever suburban poetry crawl reaches its climax during Art Beat in Christchurch's world famous container mall Re:START. Road Show 7 is a very special show marking the culmination of our year-long 10th birthday celebrations. And we're doing it in style - not only will we have the seventh in our chapbook series known as 'Catalyst Road Show' but we're actually launching a new volume of the big daddy journal Catalyst. That's right - a brand spanking new volume of the literary arts journal under our brand spanking new imprint The Republic of Oma Rāpiti Press. We'll post a separate article focusing on volume 10 soon. 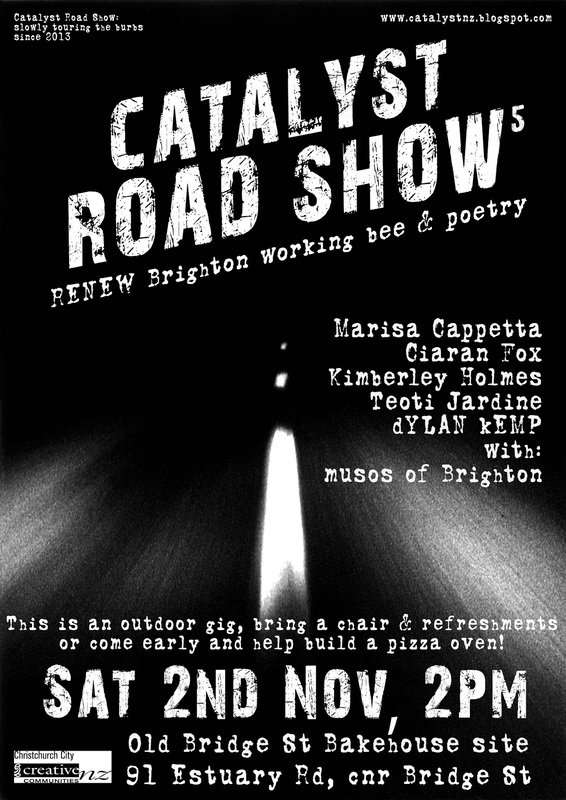 The Catalyst Road Show is a performance poetry and musical experience where poets and songwriters collaborate on the stage. The focus of these events is to provide opportunities for emerging artists to present their work in a setting different from open mics or poetry readings. 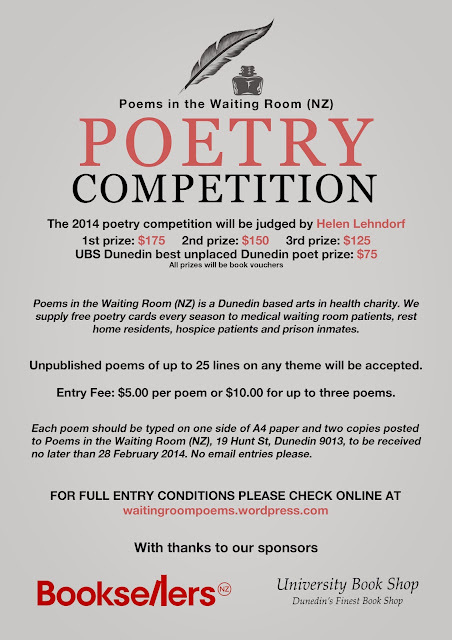 Our main objective has always been to provide opportunities for new and emerging writers with a focus on performance. The Road Show is an extension of our mission to make poetry more accessible and available to our community. 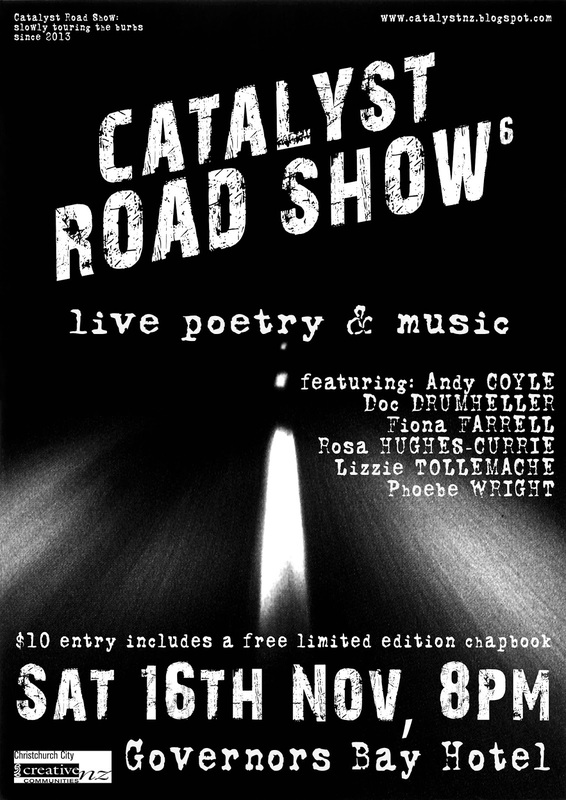 Road Show 7 will feature a line up of poets from past and present issues of Catalyst accompanied by the songs and music of Catalyst co-founder Doc Drumheller. Copies of Catalyst vol. 10 will be available for sale and a limited edition chapbook (Road Show vol. 7) of poetry selected from Volumes 1-10 of Catalyst will be available as a free gift for each copy sold of the journal. 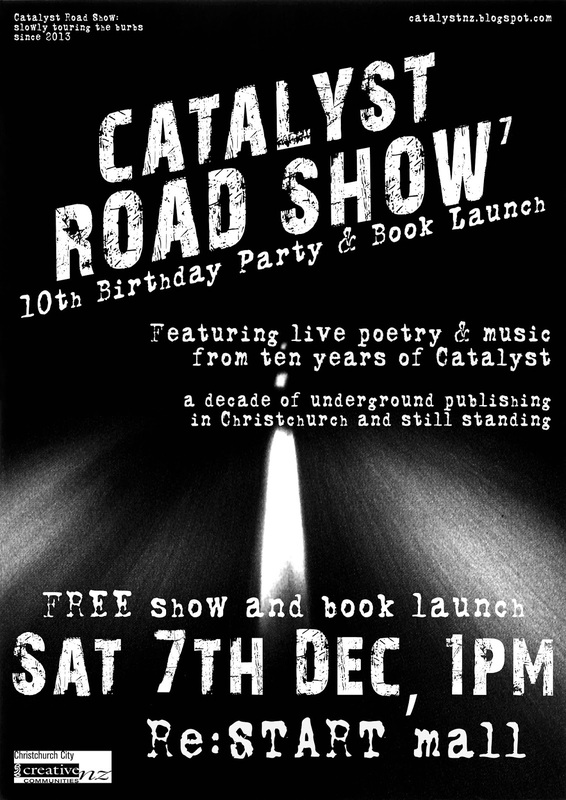 It's a daytime show on Saturday 7th December from 1pm to 2.30pm in Re:START mall on the Art Beat stage - if you're in Christchurch (and even if you're not) come and help us celebrate ten years of literary lava! The tenth anniversary tour of Catalyst continues with our sixth gig, this time in lovely Governors Bay, Banks Peninsula. Featuring an impressive line up with Andy Coyle, Doc Drumheller, Fiona Farrell, Rosa Hughes-Currie, Lizzie Tollemache, Phoebe Wright. Not only does this performance include both the current, two-time Christchurch Poetry Slam champion Pheobe Wright and 2012 Survivor Poetry winner Lizzie Tollemache it also features NZ literary luminary and Banks Peninsula resident Fiona Farrell. 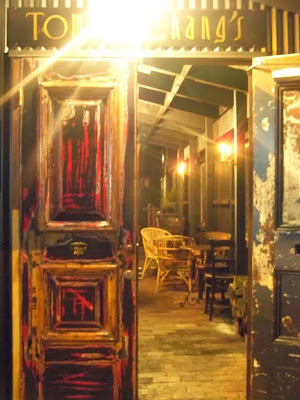 Add to this the hypnotic style of Lyttelton poet and author Andy Coyle, the strident energy of Rosa Hughes-Currie and the music and words of Catalyst founder, wandering poet and teacher Doc Drumheller and it's one hell of a night at the historic Governors Bay Hotel. 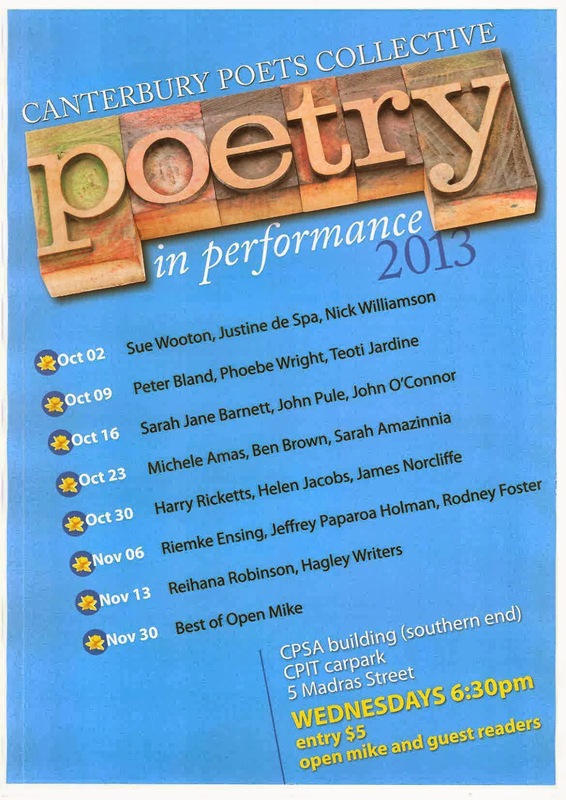 If there's one night of poetry you want to get to this month, this year - this is it. Gig starts at 8pm and is a tiny $10 on the door which also gets you a free, limited edition zine featuring the work of the poets. Christchurch Poetry Slam - the results! So Phoebe Wright successfully defended her crown as Christchurch Slam Champion, the first time anyone has done this in our history of both Poetry Idol and NZ Poetry Slam. Congratulations again to our top three. The NZ Poetry Slam Final is tonight in Wellington, we wish Phoebe and Kimberley good words and good luck as they take on NZ's best.